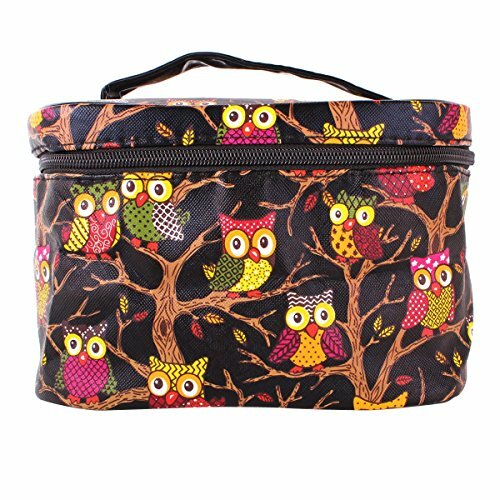 I am always on the lookout for pretty gifts for owl lovers since a friend of mine loves them. I actually do too! I found a nice variety of gift ideas that are both, useful and pretty! The wine glasses without stems are just so beautiful! They can be used for any other drinks or beverages too, I suppose! 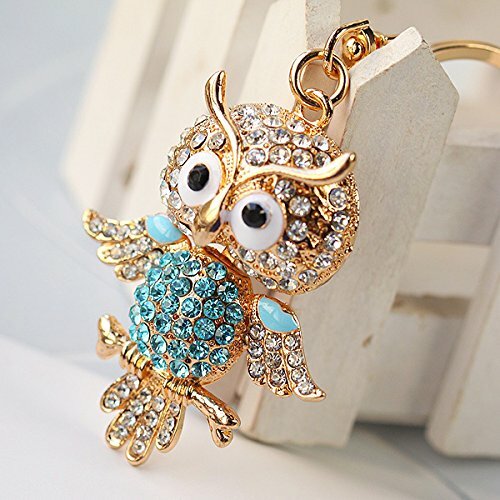 The second owl I found is a keychain with pretty aqua and silver rhinestones which would look lovely on a purse as they suggest. 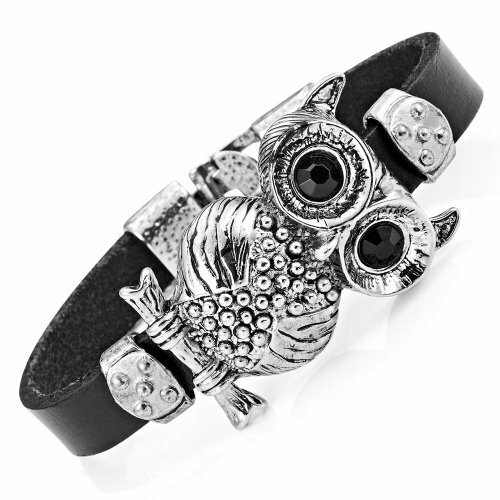 The third item is a black/silver cuff bracelet, how awesome does this owl look? And super affordable! Just click any of the images below to go directly to their listing. In the second row I displayed a fun makeup bag that any woman should have. 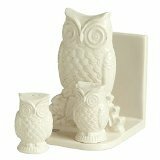 The mini owl candles are too cute to burn. I’d use them as decoration. 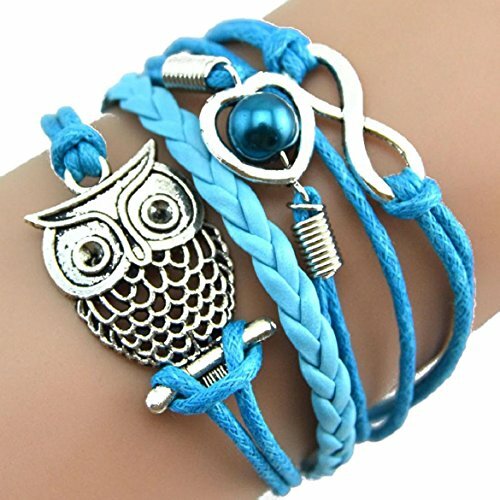 Lastly, a beautiful charm leather bracelet in turquoise. A stunning color! 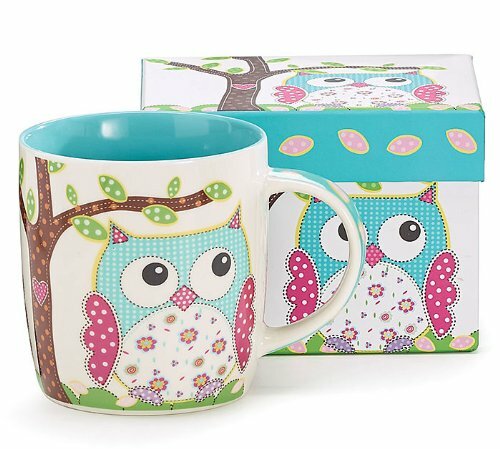 The second batch of 12 amazing owl gifts consists of a cute mug, hand cream in shape of an owl (how unique!) 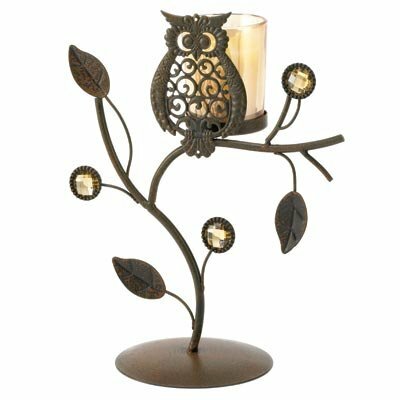 and a votive holder. I can image 3 of those sitting on my mantel. In the second row is a white napkin holder with salt and pepper shakers. 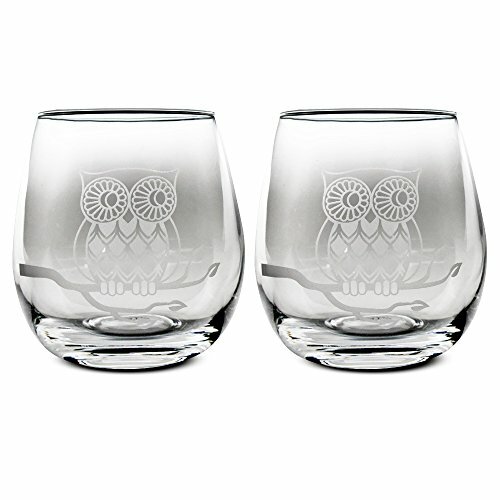 Oh my, this is the most classy owl gift I’ve seen! The socks are so fun and the little trinket may hold rings perhaps? It’s beautiful! 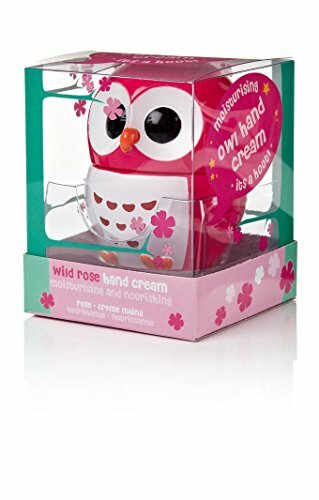 I love these presents for owl lovers and hope you do too! That was it! 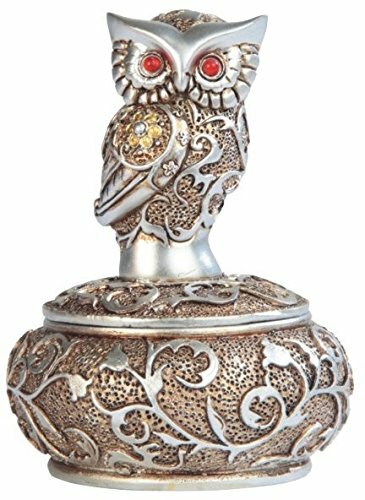 Twelve beautiful owl gift ideas! I hope you enjoyed this collection!